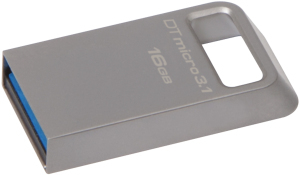 DataTraveler® Micro 3.1 is an ultra-small, capless, lightweight Flash drive that is USB 3.1 Gen 1 (USB 3.0) compliant, even with large files such as HD movies and uncompressed audio. It features a metal casing and a built-in key loop. There’s no cap to lose plus it’s small enough to stay plugged in to your notebook when you place it in your bag. 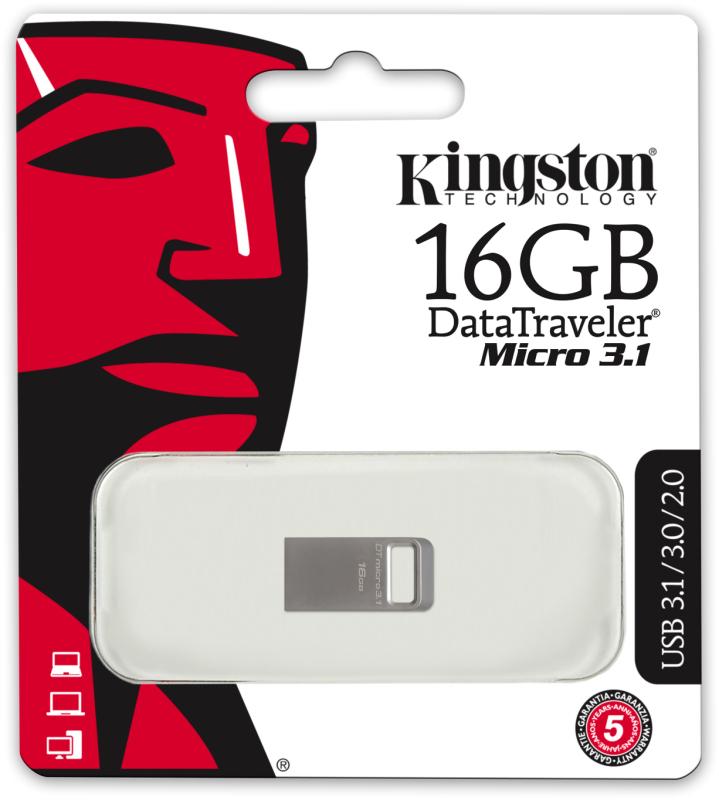 Store up to 128GB**, enough to hold movie and music catalogues, on this plug-and-play Flash drive.